As you look into most primary grade classrooms across the country, one would almost always see an abundance of phonics instruction. If one would look into most upper elementary classrooms across the country, one would see an abundance of comprehension instruction. Both of these scenarios are appropriate and supported by research. In addition, it is likely to see phonemic awareness, particularly at the kindergarten and first grade level along with vocabulary at all grade levels. I would also venture to say that a multitude of reading programs hit these components hard. But, the question is where does fluency fit in? Is solid fluency instruction in our classrooms and in our reading programs? According to Raskinski & Zutell (1996) programs and materials addressing reading instruction and teacher training seldom tackle reading fluency. Fluency is the bridge between phonics and comprehension, which necessitates the need to examine its role, or lack there of, in our classrooms. In addition, oral reading fluency is one of the biggest predictors of reading achievement. So, why does research say there is a lack of fluency focus in our programs and teacher training? If you were to ask nearly every teacher if reading fluency is important, I have little doubt they would say absolutely. However, if you were to ask if reading fluency is a major component of their reading instruction, the answer may not be the same. The question is this: is this simply a matter of needing more professional development on the topic of fluency? Perhaps this is not the only reason, but likely a big part of it. So, here are some things to contemplate in relation to reading fluency in your classroom. Reading fluency includes the ability to decode words, automatic processing of material read (meaning the bulk of a student’s energies needs to be spent on comprehension, but that cannot be accomplished if they are not fluent), and the ability to read with prosody (expression, phrasing, smoothness and pace). What does this mean for my classroom? Do your students know how to decode (including at the upper elementary level)? Please note, the teaching of decoding strategies should not end after the primary grades. Upper elementary students are exposed to much more complex words, some they have seen before and others they have not. Definitely beginning in second grade, and to some extent in first grade, students should begin to learn and apply the types of syllables. Fourth and fifth grade students need to be able to apply their knowledge of syllables and their patterns (such as the VCCV) to decode words. 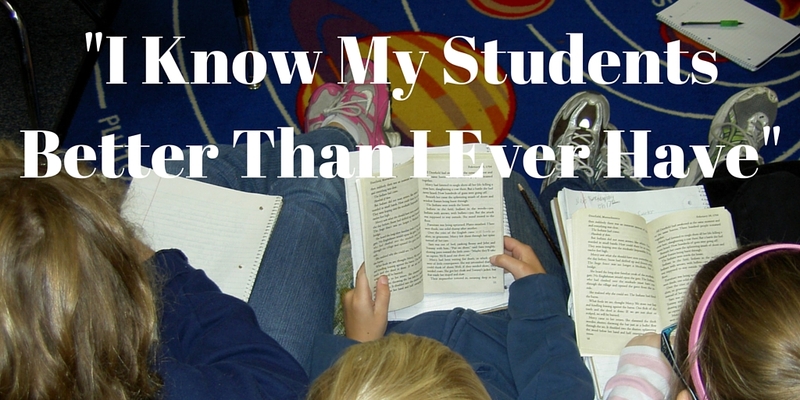 Do you have students who have trouble in comprehension? If so, do not always assume the problem lies in them not being able to apply reading strategies. If they do not read fluently, they are only surface readers. One cannot grasp the deeper meaning of text, if their energies are focused on reading fluently. Do you teach expression, phrasing, smoothness and pace? If not, do you need to seek out resources to help you with this? Be sure to teach students that expression affects comprehension. For example, pretend you are listening to a presenter and in your head, you are agreeing with everything the presenter is saying. In your head you are saying “right.” Let’s say to your right though, there is someone who disagree with the presenter and they are also saying “right” in their head. The way you say right is different than the way the person next to you is saying right. That affects meaning of the situation, just as it would in text. So, teach your students expression and teach them how it affects meaning. Do the same with phrasing, smoothness and pace. Specific activities that teach fluency include the following: repeated readings, reader’s theater, modeling of fluent reading, read aloud performances, and use of a prosody rubric, among a multitude of others. See Timothy Rasinski’s work for more ideas. Take some time to consider your reading instruction and the reading program you use. Does fluency instruction exist? If so, is it sound and consistent instruction? If not, what resources can you find to assist you? Perhaps a book, a colleague, a reading specialist? Whatever the case, continue to develop and build on your knowledge on fluency, the all-too-often forgotten component of reading. Teaching reading is one of the most complex cores to teach, one reason why us challenge-loving people take it on with such passion. I’m not sure that an educator can (or should) ever reach the point where they know enough about reading to justify not continuing to learn about this area of study. Reading is the foundational skill for success not only in work life, but also in personal life. When teaching someone to read, you’re giving them a skill that may help them one day to pick up a book about marriage, because theirs is in shambles. Or, there may be someone who picks up a book about autism, because they have suspicions that their child has characteristics of it. In work life, I would venture to say that the majority of careers that exist have a component where someone either has to read as a part of the profession or may choose to read to continue their knowledge on a subject, and thus excel past those who do not read. (And yes, research shows that the most successful people in our society read). The importance of reading is brought up because it is lacking in our society, even by some inside of education. Knowing the importance is the first step. Then, the next step is knowing that reading instruction is a challenge to take on. It is by far more than “sound the word out” and “tell me about the story.” It is a metacognitive process, which means we have to teach students to think about their thinking. (See Tanny McGregor’s Comprehension Connections book for more explanation). Other challenges in teaching this subject include the following: elementary teachers are responsible for teaching more than just reading, making it harder to be an expert in the area of reading, having enough experience to fully grasp what reading is, having a deep understanding of the five components of reading, knowing how to pinpoint where a struggling reader is “caught up” at, and having adequate professional development in the core area of reading. With all that said, let us not get caught up in the challenge, but rather some solutions. How can we improve our knowledge of core reading instruction with limited time in our schedules? Here are some options one may consider: devote 15 minutes of reading per day to continue your knowledge on the topic, commit to listening to one reading podcasts a day from itunes (such as Choice Literacy, Voice of Literacy or Teacher Created Materials), go observe a teacher you know is strong in reading instruction, use your district instructional/literacy coach, make a commitment to collaborate with your team on reading instruction for 10-15 minutes each week, and listen to your students read as much as possible. My Twitter profile says that I am a literacy advocate. I absolutely believe in the power books have in changing lives. But, I also know, teaching reading is complex and difficult to say the least. The good news is we can always continue to improve as teachers, if only a small commitment is made. So go forth, make that commitment. Your students deserve it!